Gecko Garden Preschool takes very seriously the health and wellbeing of all our students and we ask all parents to complete a Medical Form prior to your child commencing at our school so we have a full and clear picture of your child’s medical needs. If your child suffers from any allergies we will work closely with you to understand your child’s situation, necessary precautions and protocols. Gecko Garden Preschool is strictly a nut-free zone. Although all teaching staff undertake First Aid training every two years, staff are not permitted to administer medication to children except in emergency circumstances (for example, where the child has a severe food allergy). Please make arrangements for medication to be administered to your child outside of school hours or a caretaker can visit the school to administer medication if required. If a child requires emergency medications as part of a preexisting medical condition the ability of the school to meet their needs will be considered on an individual basis. Please discuss the child’s condition, the medication indications and staff training requirements with the Director. A fully equipped First Aid kit is kept on the premises, all teaching staff have current First Aid qualifications and we have established protocols for accidents. Routine safety drills are conducted each semester so that staff members are well-trained and prepared to respond in the event of an actual emergency. Parents are notified of these drills, which also provide an opportunity for children to follow their teacher’s safety instructions and to practice how to exit the classroom quickly but safely. In 2017 Gecko Garden Preschool implemented a health vaccination policy that all new children enrolled after July 2017 are required to provide some form of documentary evidence or certificates of vaccination for the following illnesses: Diphtheria, Tetanus, and Pertussis (DTaP), Measles, Mumps and Rubella. A copy of our Health Policy is available on request. We consider the protection and safety of all children to be of the utmost importance and provide our staff with regular refresher training on child protection matters. 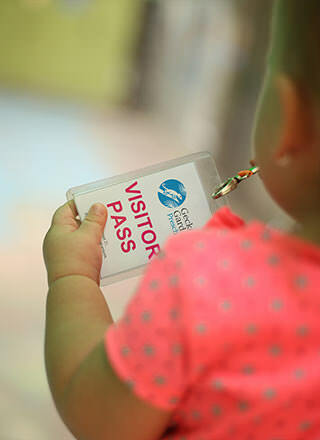 Parents or caregivers visiting the school or collecting children are required to present school-issued ID passes and guests are required to sign-in and sign-out of the premise. A copy of our Child Protection Policy is available on request.